If one of your vacation must-haves is to be close enough to hear the ocean as you drift off to sleep, RipJack Inn is the gem of the Playa Grande beach hotels. 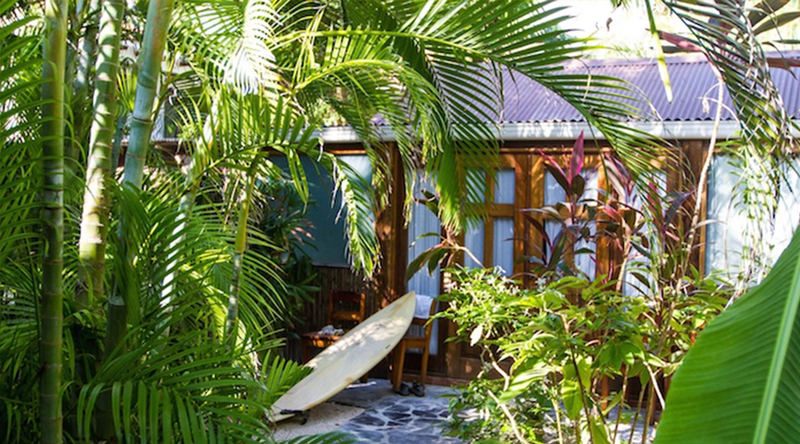 The property is literally just a few steps to the nearest beach access. RipJack Inn is eco-tourism at its finest. 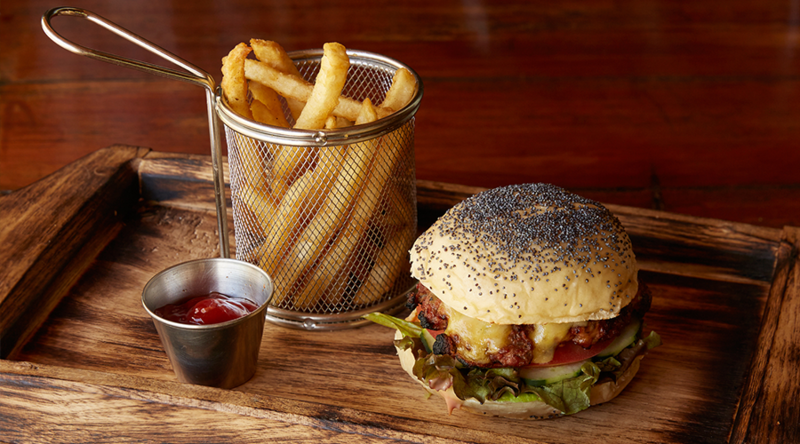 From the towering hibiscuses to the freshest catch they’re serving UpStairs, Rip Jack Inn has created an atmosphere that can only be described as ‘tropically refined’. After a long day at the beach and when your shoes are filled with enough sand, there are plenty of other things to do at RipJack Inn. 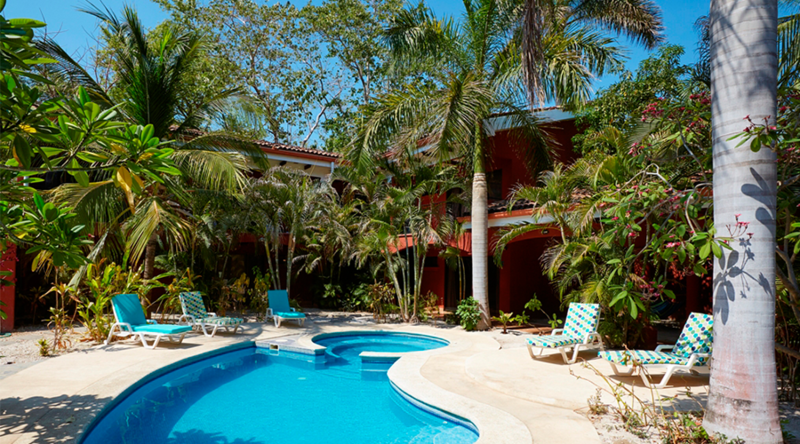 Lounge the day away poolside or take an afternoon siesta in one of the shaded hammocks. Check out the bulletin boards outside the main entrance of the hotel and at Upstairs for activities. 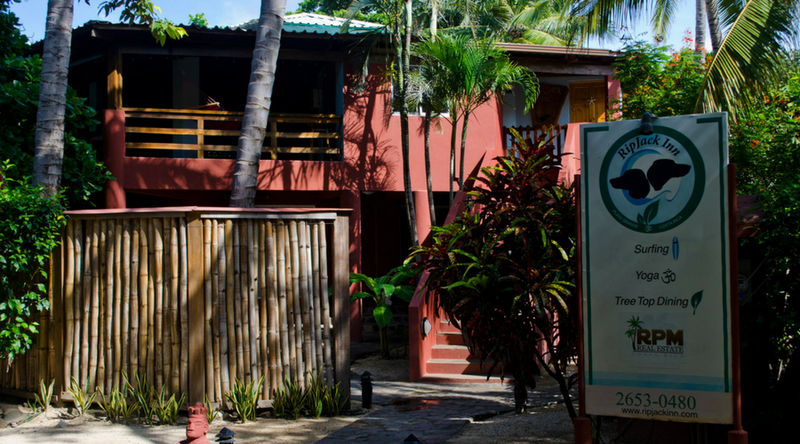 The friendly, multilingual staff is happy to arrange anything make your stay in Playa Grande a good one. 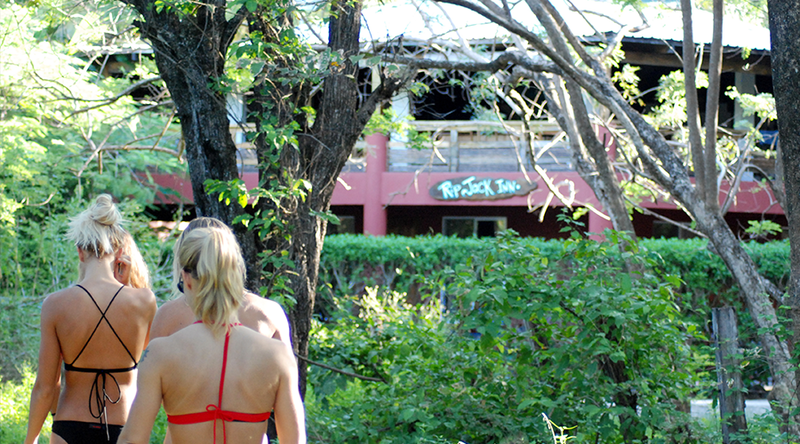 The hotel is a popular destination for yoga retreats, and RipJack hosts several every year and offers daily sessions to guests and locals. Classes are held every day in their gorgeous glassed-in yoga studio. The charming thatch hut gives the space native flair, just another example how RipJack is dedicated to providing a high standard excellence. 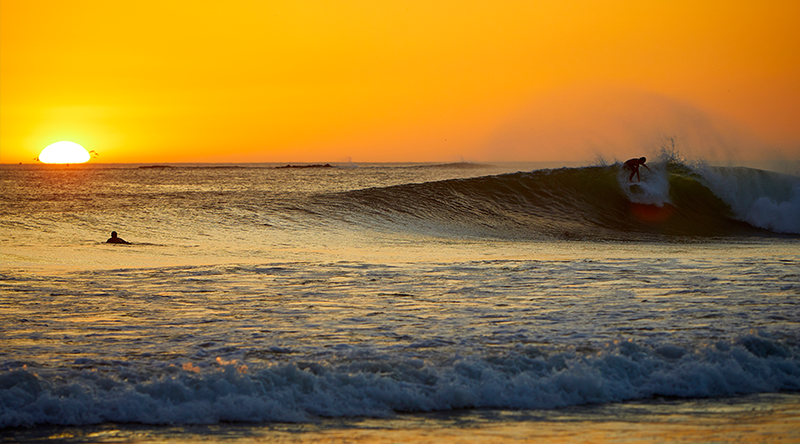 The room is equipped with AC for warmest, sunny days in Playa Grande. In addition, to yoga classes, RipJack Inn offers Zumba and dance aerobics. Check out their regularly updated schedule HERE. Whether you’re looking for a romantic getaway, planning a yoga retreat, or bringing the family on vacation, RipJack Inn has an assortment of room options to accommodate your needs, all of which are equipped with AC, fans, and a personal safe. There are five standard rooms available, outfitted with a queen size bed, all beautifully decorated, and the beds alone are so comfy they’re worth the stay. 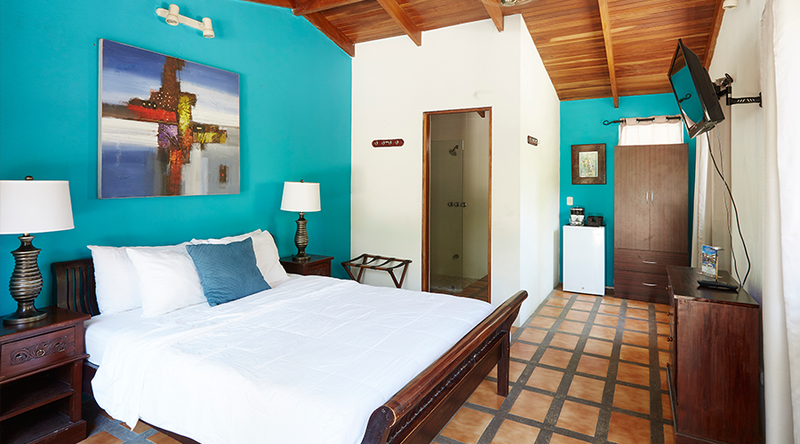 RipJack has Deluxe rooms, Suites, and a Bungalow to accommodate those who want to upgrade to a larger space. Amenities at RipJack Inn include free WiFi, housekeeping, and secure, free parking for all guests; this hotel is also pet friendly, but please call and make arrangements prior to arrival. Additionally, the hotel and the restaurant conveniently accept cash and cards.